July showers bring new life, warmer weather, daylight savings time, and busy nursing students running on fumes. Whether you are a first semester nursing student, or just about to graduate nursing school, those last few months of the spring semester will make anyone have spring fever. By organizing all of the remaining assignments and clinical hours you have left for the remainder of the semester, you will be able to visualize everything that’s due. Using a planner with a calendar is ideal because it allows you to look ahead to the next few weeks at a glance. This will make it harder for assignments to get overlooked and ensure you have ample time to complete them. If you are returning for the following semester, make sure you have registered for your classes in advance. If you can talk to someone that already took the courses you will be taking, it will give you an idea of what to expect and how to prepare in between semesters. Talking to upperclassmen is a great way to find out which teachers to take for upcoming classes. It will also help you learn about different clinical locations, since you will be signing up for a new clinical slot as well. If you were cooped up indoors for the last few months due to the weather, changing up your study locations will help keep you focused. If the weather permits where you live, planning your study sessions outdoors is a great way to enjoy the warmer weather while staying productive. This will also prevent you from feeling like you’re missing out on recreation. Go ahead and combine the two! Preparing your resume is something you can do at any point during nursing school. Not only do you represent yourself, but you represent your nursing program, so it’s important to have an excellent cover letter and resume to showcase yourself. It’s a great way to showcase all of your clinical experience and to continuously add any experience gained. For those graduating, this is the time where you want to have a solid resume and cover letter as you begin the application process. 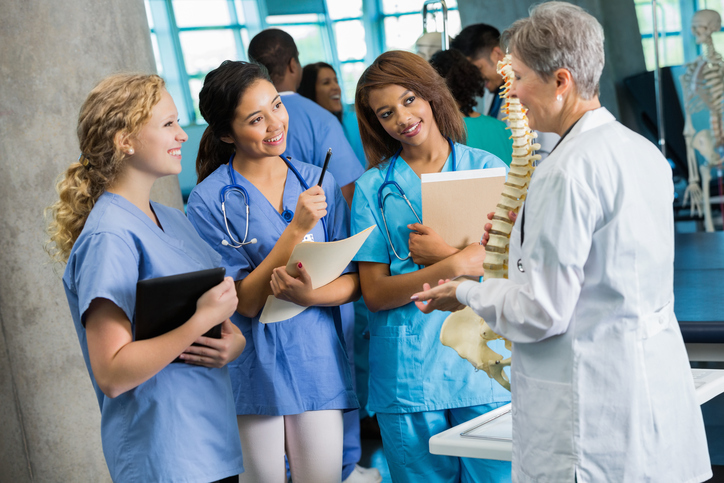 Some nursing programs provide guidance on how to format your resume and cover letter, and if they don’t, most colleges often have seminars where they teach you how to construct a resume. Don’t forget your nursing professors once applied for nursing jobs too, so they are also a great resource to ask to look over your resume and cover letter.